Suitable for primary and fine grinding ferrous and super alloys. 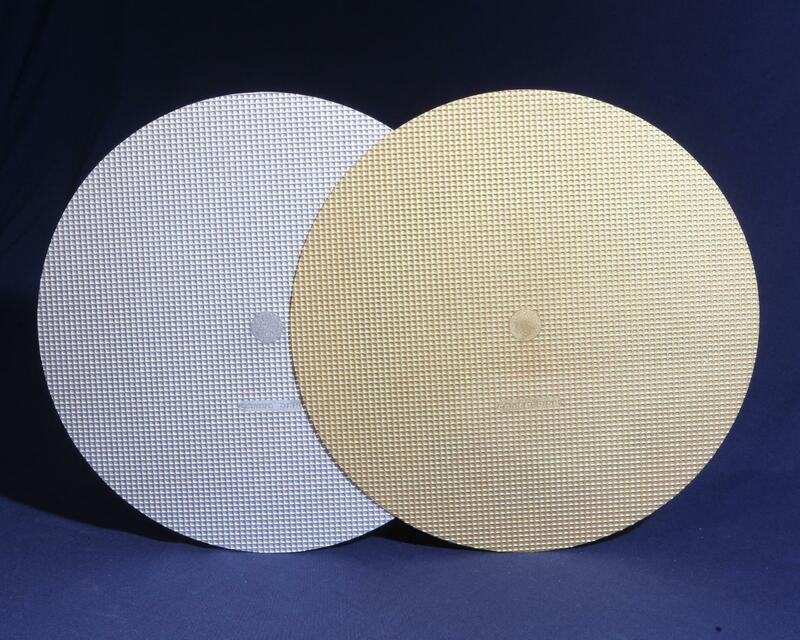 Used to replace SiC abrasive paper to maximise efficiency and minimise waste. The Cameo Silver and Cameo Gold are a new type of fine grinding disc which deliver a constant stock removal rate. They can be used to replace many traditional grinding steps from 240 to 1200 grit where silicon carbide abrasive paper is commonly used. This reduces the number of steps in your procedure resulting in considerable cost savings and waste reduction, and optimum flatness is achieved. The Matrix pattern optimises the effectiveness of the MetPrep diamond suspension applied, by ensuring continuous and even distribution during the grinding process. 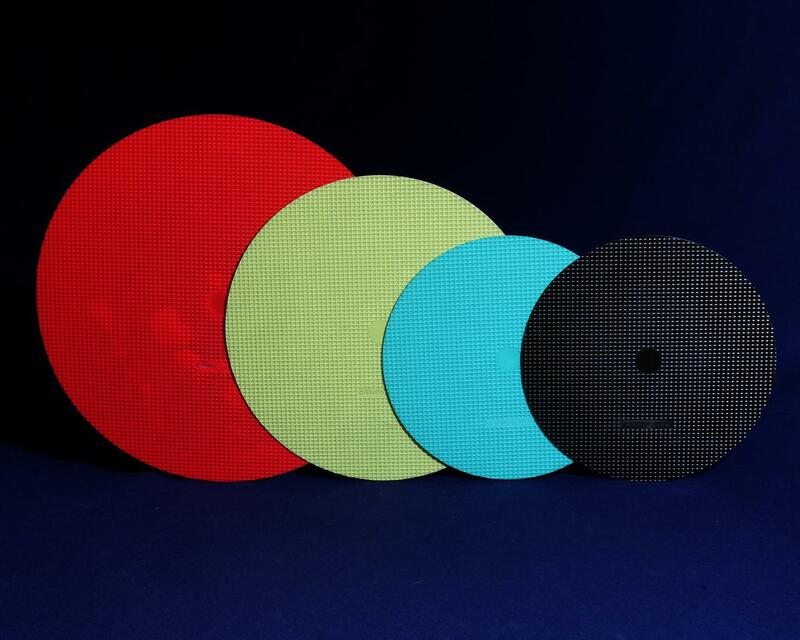 Cost efficient – one Cameo disc replaces many SiC abrasive papers. Patented surface profile ensures even stock removal. The micro pools spread and recycle the diamond suspension which substantially reduces the usage compared to other systems. The stock removal rates of Cameo discs are unsurpassed, giving short preparation times and a perfectly flat surface. Cameo discs can be used on manual and automatic polishers.